We have a nearly full slate of games today for the second week in a row. This week I’m going to focus on the late games only – the contest starts at 7:05pm eastern – giving my east coast and west coast friends equal time. Follow me on Twitter with any changes as lineups roll in. Doug Fister | RHP | Nationals | $17,199 – Fister (and just about every other Nats pitcher) has been lights out over the last couple of weeks. Vance Worley | RHP | Pirates | $12,804 – Worley looks to be healthy again after struggling mightily with elbow issues last year. He get the Mets (the 26th rated team in terms of wOBA against right handers). Wily Peralta | RHP | Brewers | $14,222 – Peralta looks to have a tough matchup against the Rockies and their top rated offense versus righties. However, Peralta lucks out and gets the Rockies in Milwaukee – the Rockies are actually 20th overall in MLB wOBA on the road against right handed pitching. 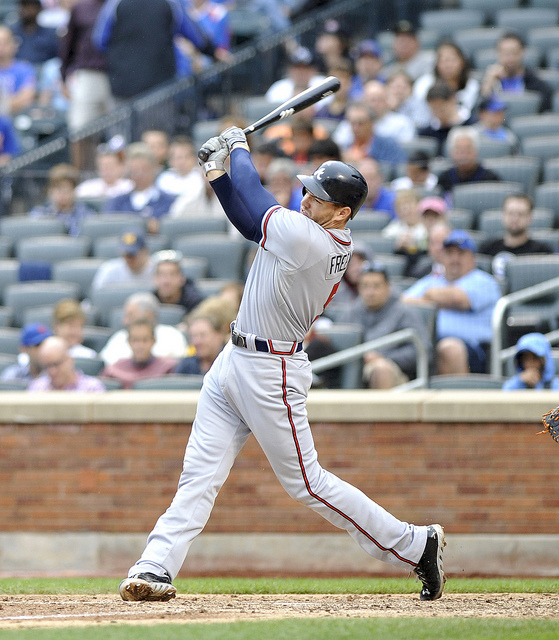 It’s likely few will be on Peralta so he makes a great tournament play. 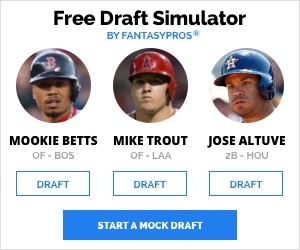 Alternative: Josh Beckett ($18,426) is an option as well as the Cardinals struggle against right handed pitching (20th in wOBA) and Beckett has been the Beckett of years past during this season. If you want to sneak in some high priced offense, I’d look at Kenley Jansen ($2,870) or Trevor Rosenthal ($3,520) – it should be a low scoring affair and a save should be in the offing for the winning team. Tyler Flowers | White Sox | $2,566 – A nice cheap find – he’s hit a HR off of Blue Jays starter J.A. Happ and brings a .324 wOBA against lefties into the game. Alternatives: Again, with catchers I rarely pay, so I’d look at Russell Martin ($4,958) or Carlos Ruiz ($3,873). Jose Abreu | White Sox | $8,769 – Abreu hit another HR Wednesday night giving him 23 for the season. He’s got a .358 wOBA against southpaws this year. Alternative: I think you have to pay here as there really isn’t a lot else that jumps out at me…perhaps Matt Adams ($6,516) who is white hot right now. Rickie Weeks | Brewers | $4,968 – Weeks against a lefty? It’s Pavlovian for me – he’s in my lineup with his .327 wOBA against left handed pitching this year. Alternative: A batter versus pitcher (BvP) special in Daniel Murphy ($6,222) as he’s 12 for 17 lifetime against Vance Worley. Aramis Ramirez | Brewers | $6,580 – There are a lot of options at third today, but Ramirez is my favorite as he brings a .457 wOBA against lefties in a matchup with a pitcher who should probably still be figuring things out in AAA. Alternative: Anthony Rendon ($6,546) and Juan Francisco ($5,990) each make great options – Rendon has positive points in 10 of his last 11 games and Francisco faces a right-hander (.401 wOBA against them this season). And if you like BvP matchup numbers, Pablo Sandoval ($6,129) is 11 for 17 lifetime against Cincy starter Mike Leake with 2 HRs. Alexei Ramirez | White Sox | $5,444 – This is a hunch on my part as Ramirez’s numbers haven’t been great against lefties this year, but he’s always been a better hitter against lefties in his career. 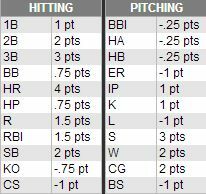 Alternative: Jose Reyes ($7,611) and Jean Segura ($5,260) are both solid options facing off against poor pitchers. If you don’t want to pay you could punt with Charlie Culberson ($2,500) if he’s in the lineup – at $2,500 it’s tough to go wrong. Khris Davis | Brewers | $6,486 – Davis against a lefty is like Weeks against a lefty. He’s almost always going to find his way into my lineup. He’s got an otherworldly .452 wOBA against portsiders – 13 th in MLB among batters with 40 or more PAs this year. Jayson Werth | Nationals | $5,319 – I’m not quite sure why Werth is so cheap. 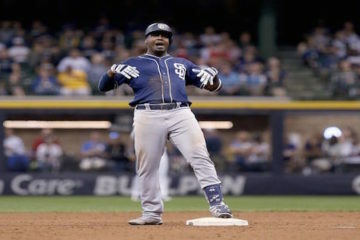 He’s an above average hitter against left-handers (.368 wOBA). Carlos Gomez | Brewers | $7,786 – A .387 wOBA puts Gomez here and he hits near the top of the order regularly. Alternatives: May as well have the whole Brewers lineup here – if you can fit Ryan Braun ($8,395) he makes a great option. 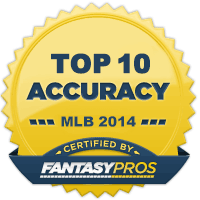 Colby Rasmus ($5,921) has been solid (.341 wOBA against righties this year). Gregory Polanco ($6,364) seems a bit cheap to me as he doesn’t have a negative point game in his last 11. I dig the Brewers against the over matched Christian Friedrich. They are a tough team to do a full stack on as they have too many high priced hitters to fit into a lineup without going with a reliever. I also like the White Sox against J.A. Happ and the Blue Jays against Scott Caroll. Lastly, the Tigers are an option against Nick Martinez. Here’s what my lineup looks like right now before lineups come in. 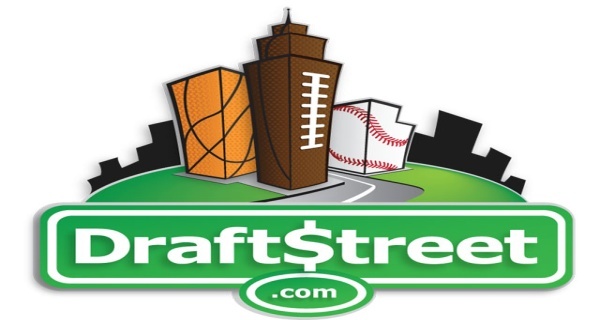 Good luck on DraftStreet today!